A former member of the Wreckers, Wheeljack is more than capable of taking care of himself. But he's glad to know that at least one of his old friends - Bulkhead - is still around, bringing the pain to the Decepticons. Prelude: Many thanks to my good buddy James aka Caked-Up, who gave me Wheeljack here for my birthday this year. Robot Mode: As if there was any doubt, Wheeljack’s robot mode clearly shows that he pays homage to G1 Wheeljack, as the two look nearly identical. Much like the G1 toy (and unlike the G1 cartoon character) Wheeljack is a very stocky guy in robot mode, being almost as broad as he’s tall. Most of that comes from his massive shoulders, as his actual torso is quite slim. The paint job (mostly white with red and green highlights) is also a straight-up homage to the G1 toy. Articulation is pretty good here as well. Wheeljack can easily adopt any number of poses. The joints on his arms and shoulders take a moment to get used to, but overall he’s got no problems moving. For weapons he carries two swords, which he can either hold in his hands or clip them to his shoulders. It’s also possible to slide them into slots near his wings, but I don’t recommend that, as it looks stupid and doesn’t hold together very well. Little more I can write here. Wheeljack looks pretty good in robot mode, a nice Prime-style update of the classic toy. The only slightly odd thing: not a single Autobot symbol to be found on him. Otherwise, though: great robot mode. Alternate Mode: As he did in days of yore, Wheeljack still transforms into a Lancia Stratos, though in this case it’s a 2011 concept car instead of the 1984 Group 5 Stratos. The cars look similar enough to keep up the homage, but the Prime version certainly looks more modern than the 1984 car. It’s sleek and futuristic-looking, but it’s also still a Lancia Stratos. Well done. Wheeljack’s swords can be stored underneath the car or mounted near the headlights for a vehicular attack mode. So all in all: a good, solid vehicle mode. No complaints. Remarks: Let’s get my one big beef with Prime Wheeljack out of the way: he isn’t Wheeljack. He has the name and he looks very much like him, yes, but character-wise he’s a completely different guy. Now I’m not against introducing new characters, using the same old G1 characters over and over again does get stale now and then. 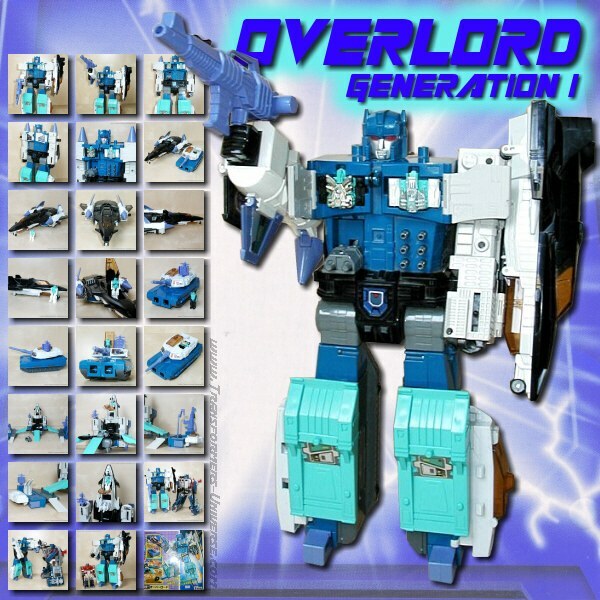 Still, if you want to do a G1 homage, you do it properly. Making a Wheeljack with what is basically Drift’s character kind of rubs me the wrong way. Not that I mind Wheeljack as he appears in the series, I just wish they hadn’t made him Wheeljack. As a toy, though, Wheeljack leaves little room for complaint. Two good modes, nice swords, great articulation, nostalgia value (if you ignore that the character doesn’t fit at all), and some great lines in the TV series, too (“Who do we call for clean-up around here?”). Bottom line: Wheeljack is a purchase (or gift, in my case) with no regrets.